Jade was a star at five years old, well at least that's what she told everyone who watched her on the stage that her dad built for her in the back yard. It was the nightly improvisation, commercials and musical theater sketches with family and friends that cemented her love of singing, dancing and acting. At age 7, she made her first movie. Yep, she directed, edited and acted with her two best friends; amazing what you can do with an IPad! Finally!... 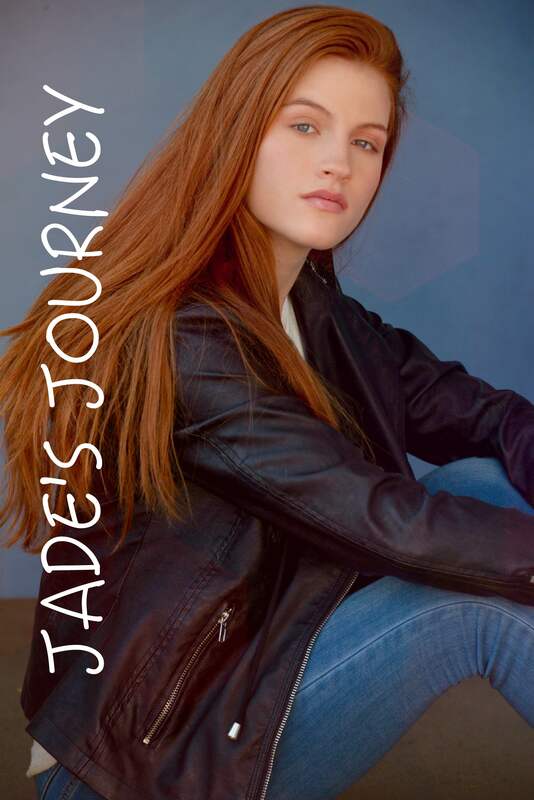 at the ripe old age of 9 the world of theater became real as Jade hit the boards in her first professional musical; the acclaimed production of "Carousel" starring Oliver nominated Alexandria Silber with artistic director Jason Alexander's prestigious Reprise! Theater Company. The year after, she followed playing Young Jane in the world premiere of "Jane Eyre the Musical" at the award winning Fullerton Civic Light Opera. Her first film experience was as Angel in Master Media's short film "Building Bridges" which opened up The Variety Arts Conference. Jade continued with her early success playing the lead role of Millie as an eighth grader in Village Christian High Schools production of "Thoroughly Modern Millie" for which she won a National Youth Arts Award as best lead actress in a musical. Jade has been honored to earn several nominations and awards over the next three years for her performances as Annie Sullivan in the "The Miracle Worker," Jennie Mae in "The Diviners," Cinderella in "Cinderella," Diana Steed in the world premiere of "The Human Comedy" and Ms. Banks in "Mary Poppins" where she was honored to sing and dance center stage at the Ahmanson Theater for the Jerry Herman Awards. As a singer/songwriter, Jade began writing and performing at a young age as well. At 12, she performed with the Dream Tour in Las Vegas and has subsequently written and produced several other songs since with her single "Invisible," reaching over 125K views on Soundcloud. This year, Jade directed, choreographed and produced her first music video, "Imperfectly Perfect." As a dancer, Jade has spent years in all dance styles, her favorite being tap, hip hop and contemporary ballet. She can be seen every week at Millenium Studios and Studio V taking classes from industry leaders. But, her favorite teacher is her mom who reminds her all the time that when she was 6 she said, "Mommy you dance, daddy I and, we sing." Well, time has a funny way of changing things and yes, moms always win! Jade's favorite role, however, is as a student and an influencer. She's been blessed with so much at a young age that she wants nothing more than to continue learning and pay forward what her mentors have given to her. "We make a living by what we get, we make a life by what we give." Winston Churchill. Blessings!